In the heart of Alsace lies the village of Saint-Hippolyte. 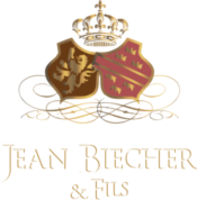 It is here, in the foot hills of the Vosges Mountains, beneath the spectacular Haut-Koenigsbourg castle, that the Biecher family established their cellar in 1776. Through the generations, the winery has acquiered a strong reputation and is one of the leading wine producers in Alsace wine. The family now sell their wines around the world, France and Europe, including the Scandinavian countries, but also into North America and Asia. State of the art premises and technology ensure high standards of wine production, bottling and management of logistics. Biecher is renowned for its punctuality, reliability and versatility.